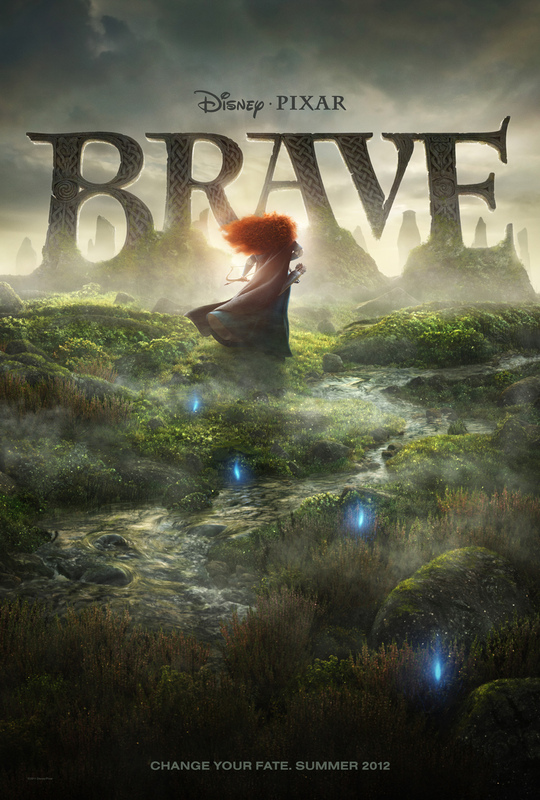 Disney/Pixar has just revealed the poster and first production stills of its upcoming animated adventure “Brave”. Since ancient times, stories of epic battles and mystical legends have been passed on across generations on the Highlands of Scotland. In “Brave”, tale joins lore when Merida (Kelly Macdonald) confronts tradition, destiny and the fiercest of beasts. Merida is a skilled archer and daughter of King Fergus (Billy Connolly) and Queen Elinor (Emma Thompson). Determined to carve her own path, Merida defies an age-old custom sacred to the lords: Lord MacGuffin (Kevin McKidd), Lord Macintosh (Craig Ferguson) and Lord Dingwall (Robbie Coltrane). Merida’s actions unleash chaos and fury in the kingdom and when she turns to an old Wise Woman (Julie Walters) for help, she is granted an ill-fated wish. The ensuing peril forces her to discover the meaning of true bravery in order to undo a beastly curse before it’s too late. Catch the exclusive production stills after the jump. “Brave” takes aim at theaters on June 22, 2012.